We’d love your help. 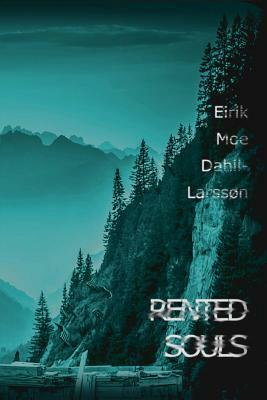 Let us know what’s wrong with this preview of Rented Souls by Eirik Moe Dahll-Larssøn. To ask other readers questions about Rented Souls, please sign up. You always see main characters generally unfazed once put into supernatural situations. But in this book DWARF's reactions are exactly my thoughts when he was thrown into the deep well. Thanks Eirik for such a fun and fast read. Completed it in one go. Eagerly waiting for next leg of DWARF's story. The mixture of comedy and horror works great in this book, every time something incredulous, 'out of this worldly', and scary happens - the main protagonist Dwarf has a witty and often charmingly-sarcastic comeback to settle the readers equilibrium. Scary enough to warrant the horror label, as some of the monsters in the book can have quite the unsettling effect on the reader, but also funny enough for me to look back at the reading experience as a mostly humorous journey - as so many of the ter The mixture of comedy and horror works great in this book, every time something incredulous, 'out of this worldly', and scary happens - the main protagonist Dwarf has a witty and often charmingly-sarcastic comeback to settle the readers equilibrium. Scary enough to warrant the horror label, as some of the monsters in the book can have quite the unsettling effect on the reader, but also funny enough for me to look back at the reading experience as a mostly humorous journey - as so many of the terrifying elements of the story are so well counterbalanced with humor. The story brings to life the characters and their individual perspectives to all the crazy that is unleashed on them - the range of characters from 'veterans' to our 'newbie' protagonist Dwarf - give you insight into a range of different reactions to the otherworldly that makes for a very engaging read. I'd recommended it to anyone that would like a good laugh, as it at several points during the book made me chuckle, snort, and/or laugh out loud, as they also are served a well built world, with engaging characters and compelling relationships explorations.